Looking for more options? There’s always Etsy! Many people have made lotions, perfumes, shampoos, soaps, candles, and much more! Okay, so we all know it’s entirely too unsanitary to eat bacon in the bathroom. Right? Okay, most of you. 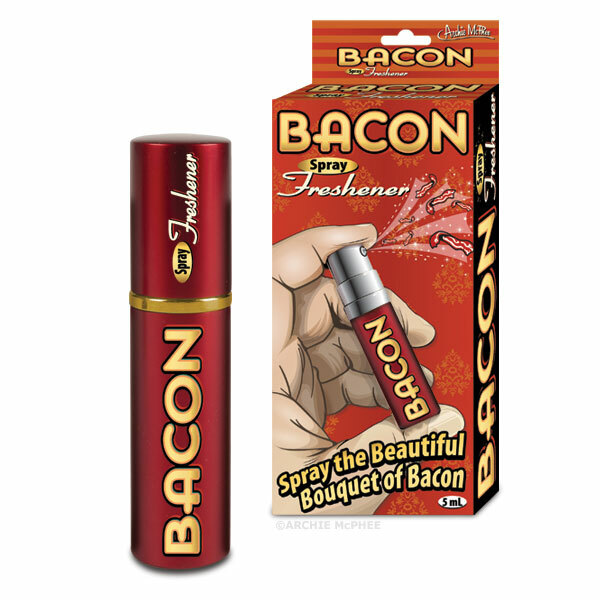 Well, now you can enjoy the art of bacon in your bathroom without the greasy mess. Once again, Mike Geno used his artsy ways to make bacon enjoyable without the mess. Check out his Etsy shop for shower curtains he made! He has two choices: BACON STRIPS and also BACON LOVE. NOTE: If you’re one of those people who puts up seasonal shower curtains, don’t forget that International Bacon Day is every September!